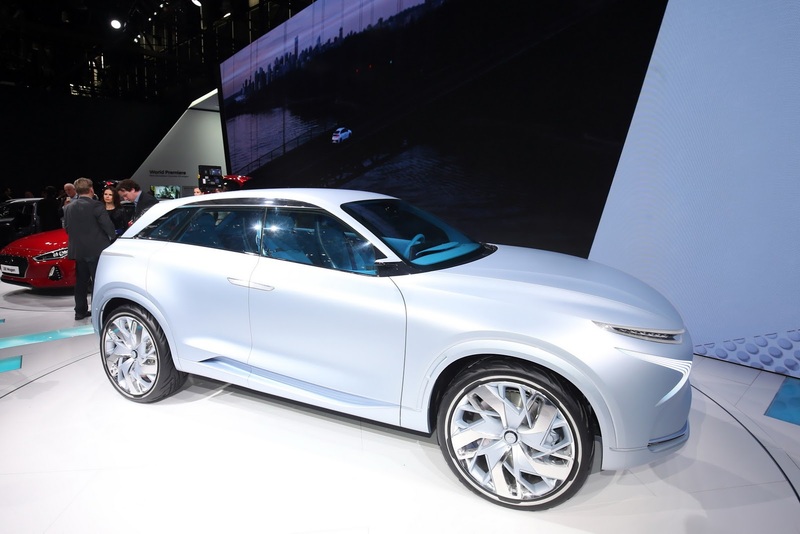 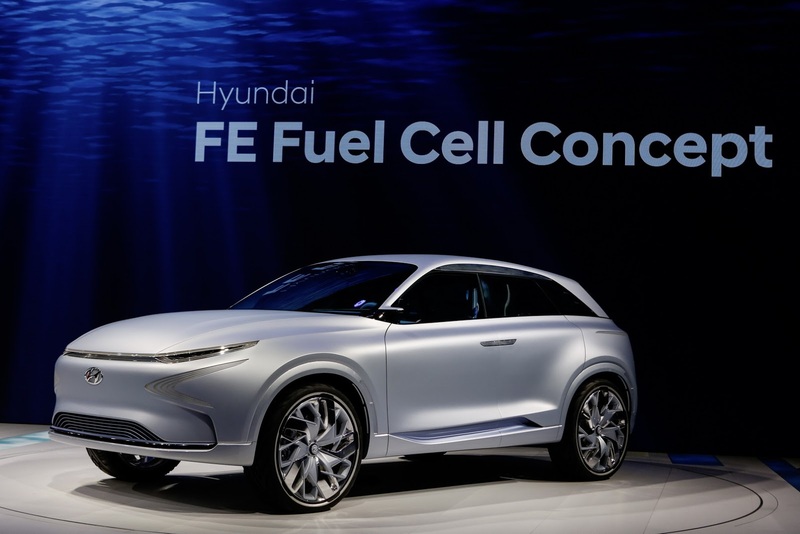 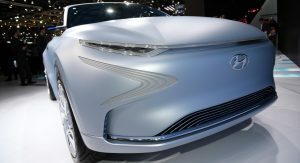 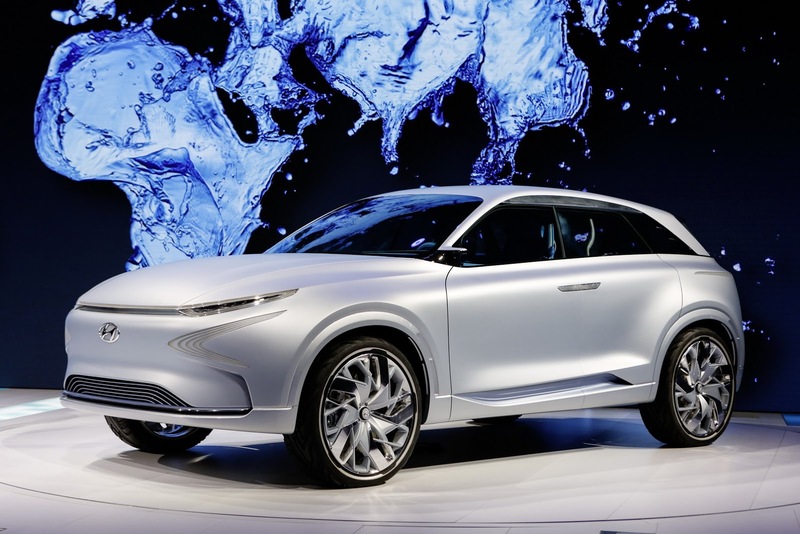 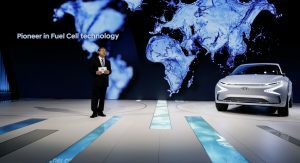 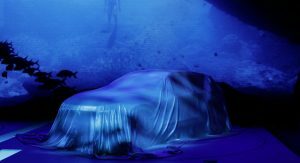 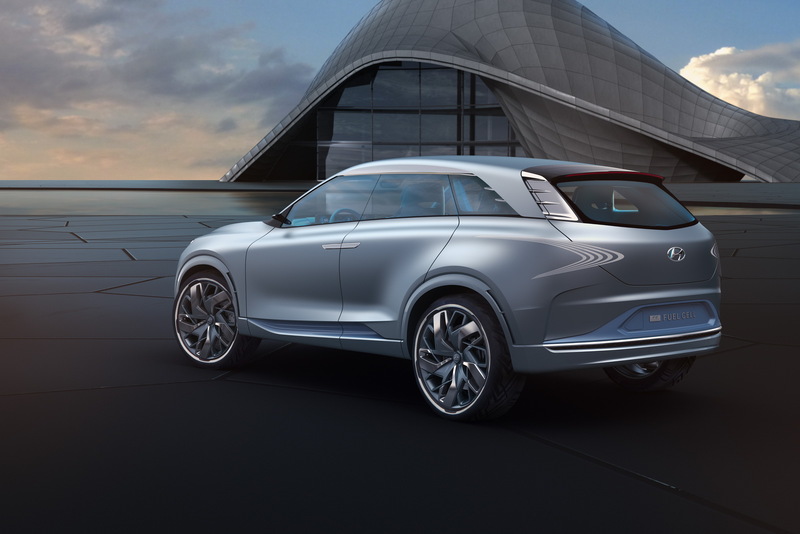 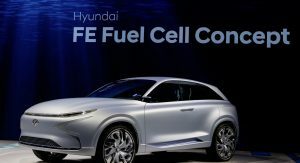 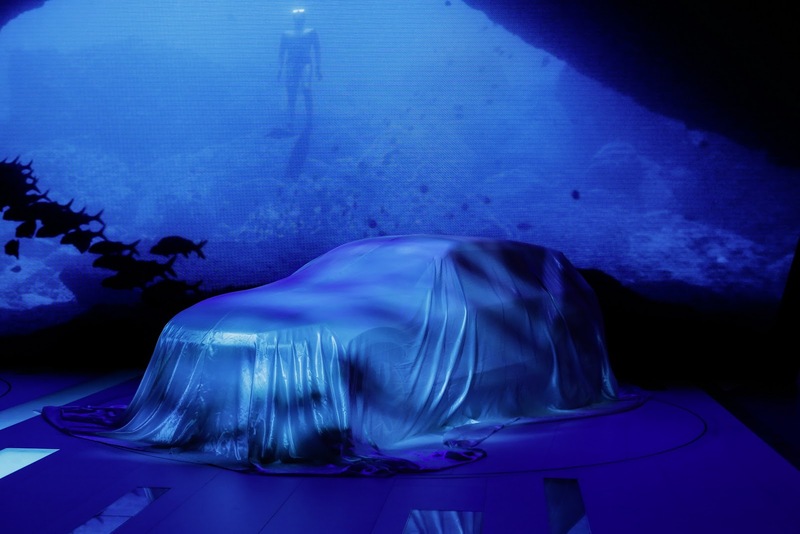 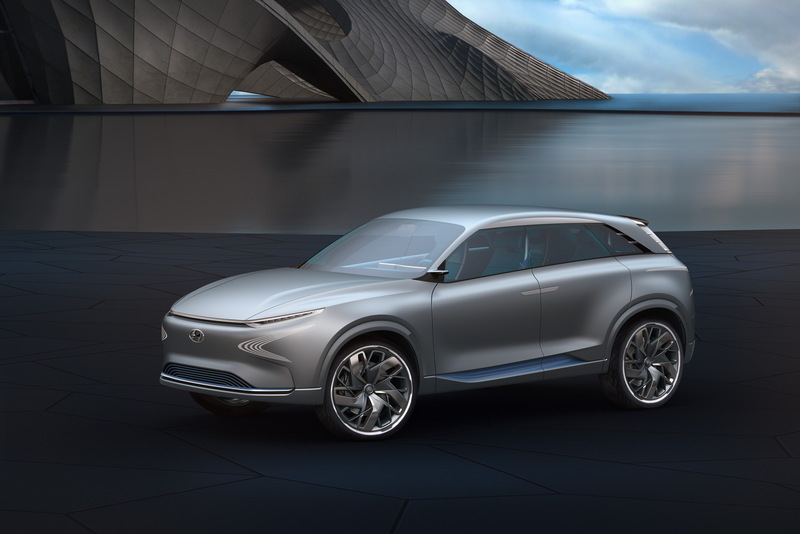 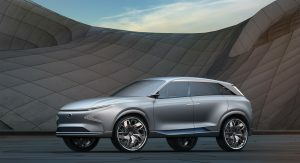 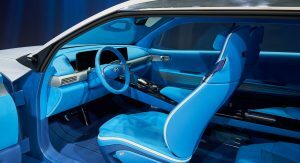 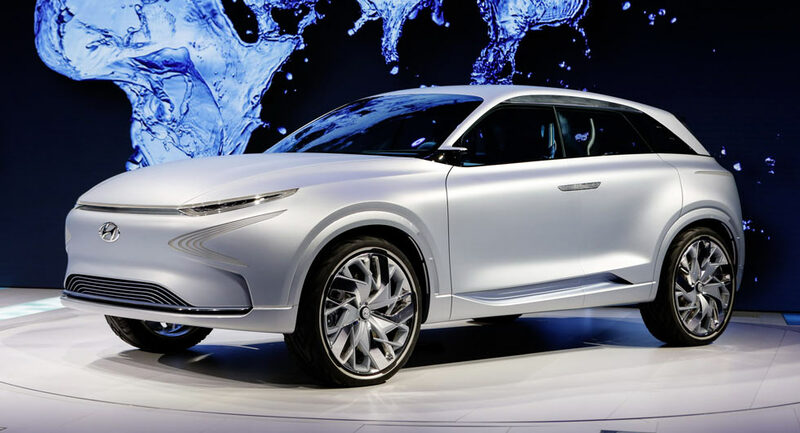 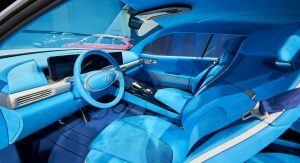 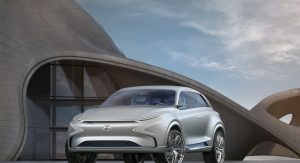 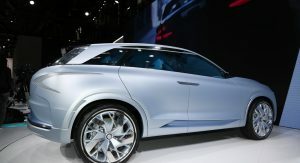 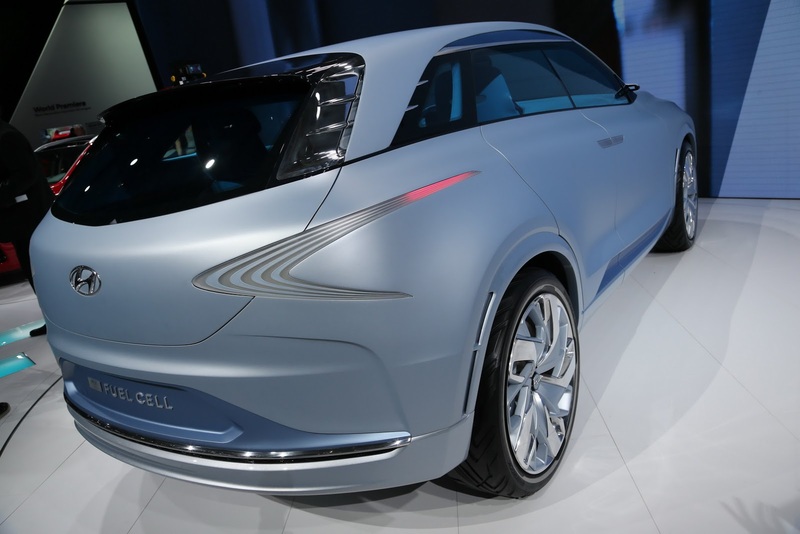 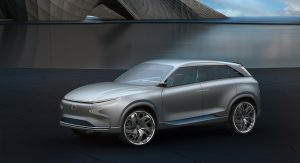 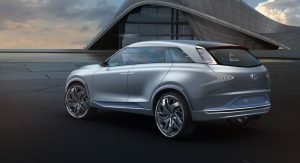 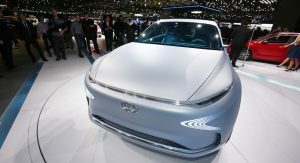 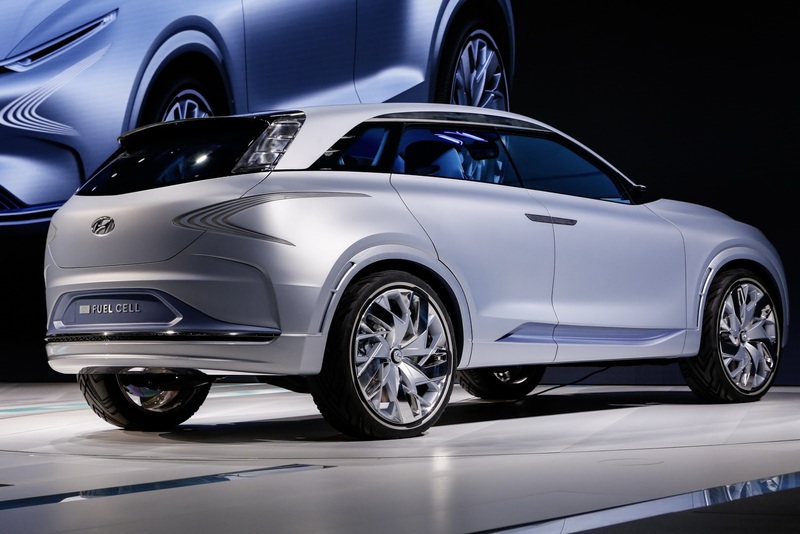 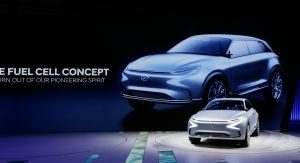 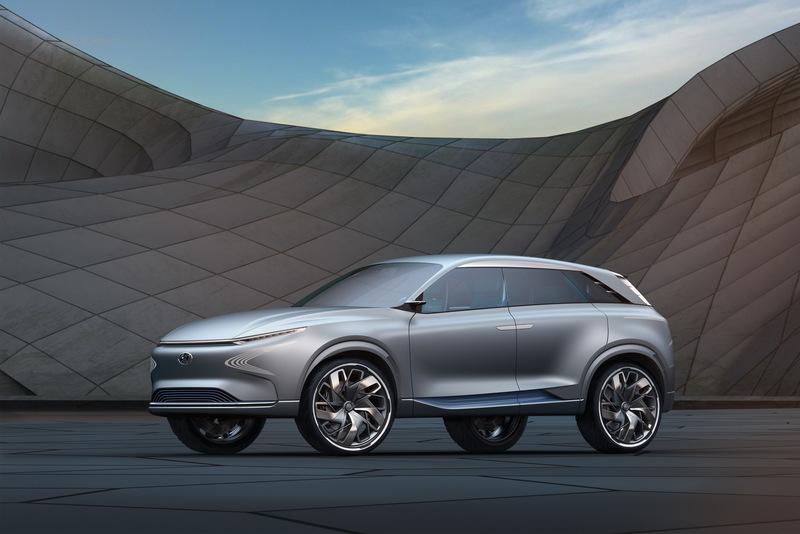 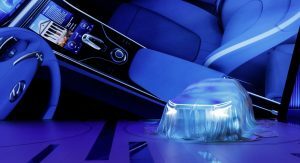 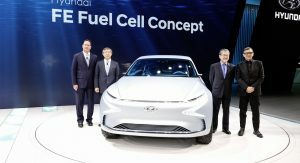 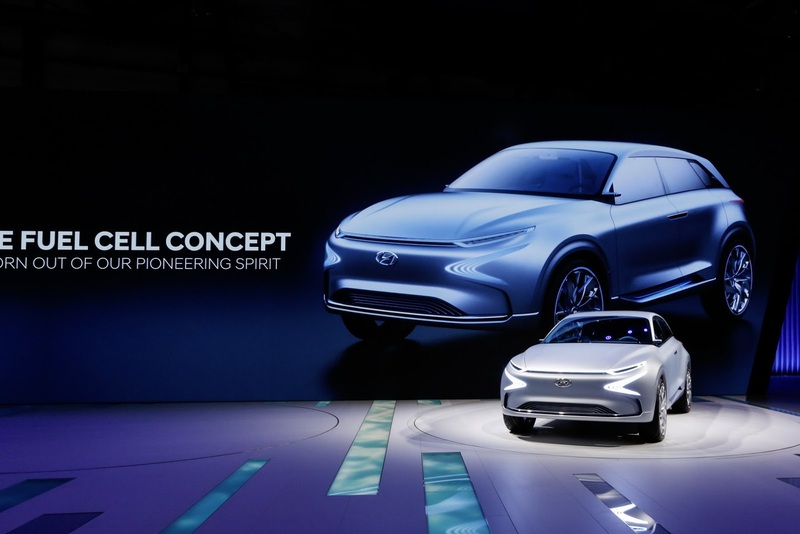 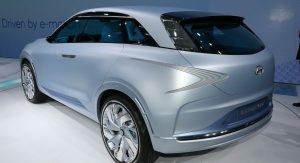 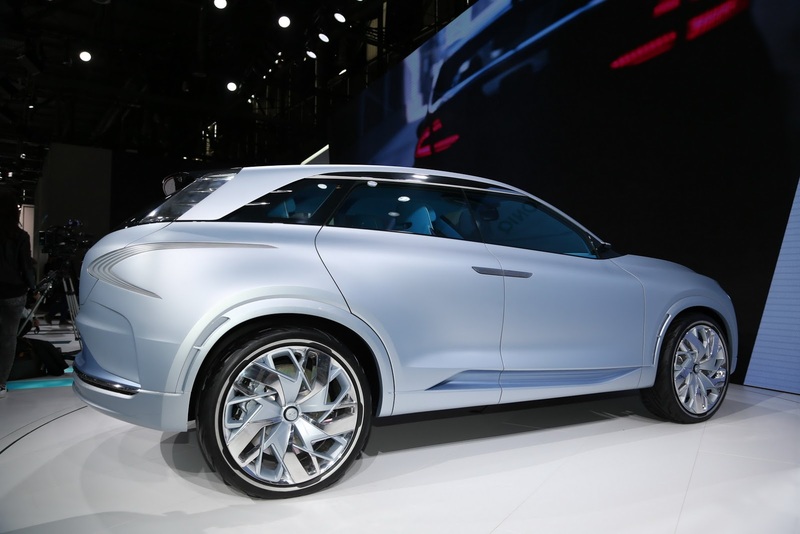 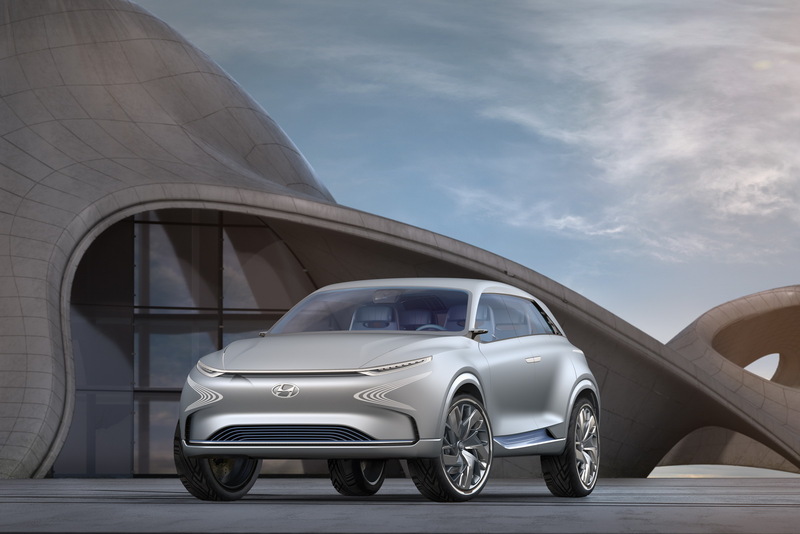 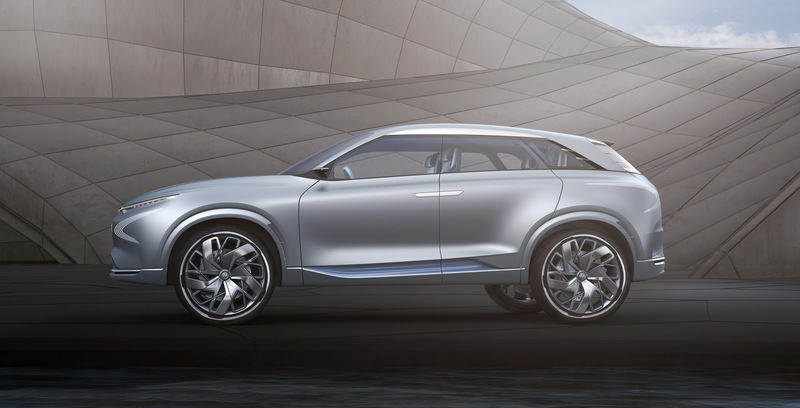 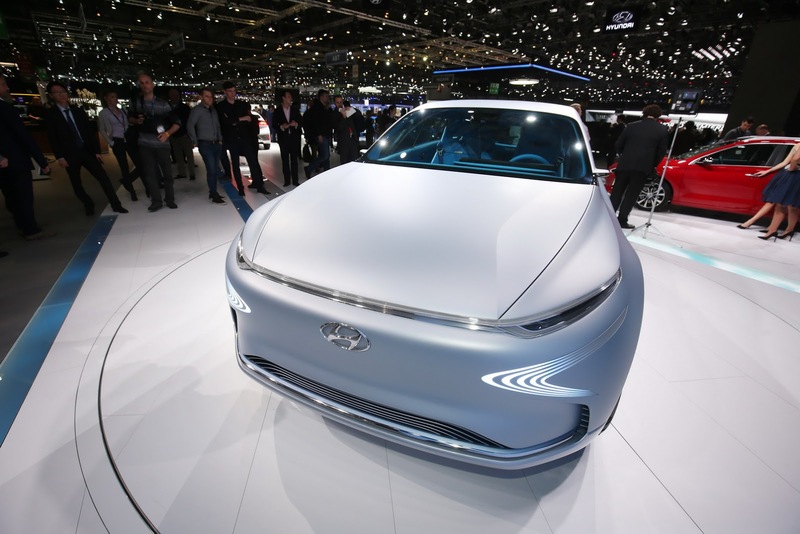 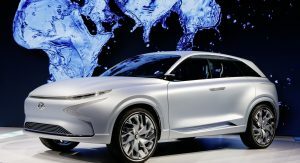 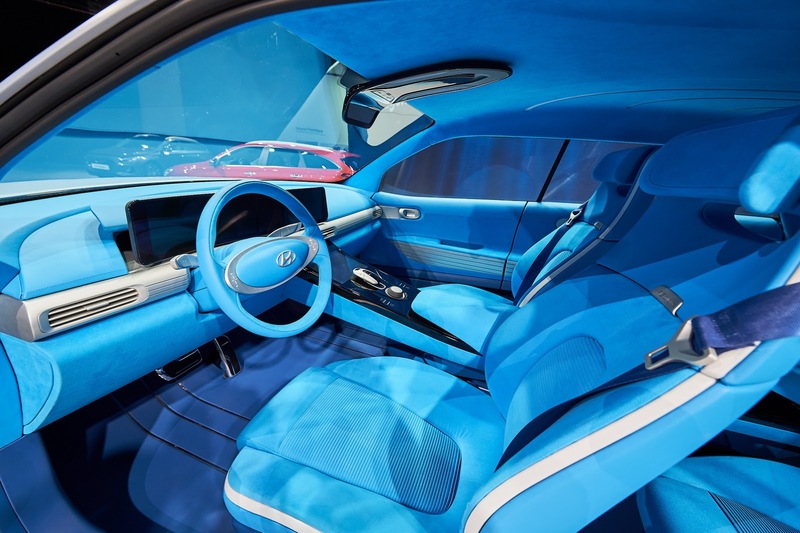 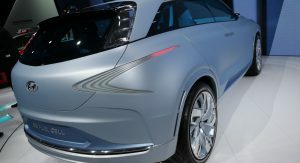 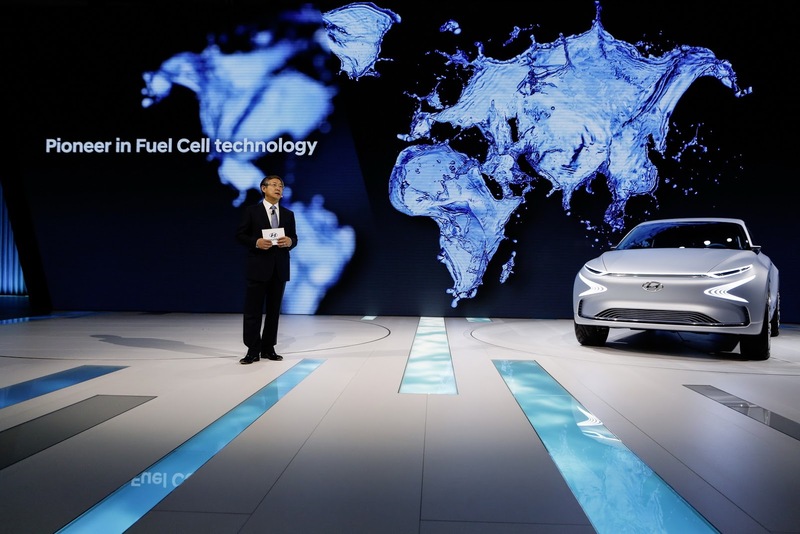 Part of Hyundai’s plan that will see the launch of at least 14 new environmentally-focused models by 2020, the new FE Fuel Cell Concept has been unveiled in front of the 2017 Geneva Motor Show audience. 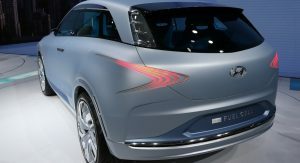 Its name, FE, stands for Future Eco, which according to the Koreans, reflects “the innovative new technologies that complement the car’s eco-friendliness”. 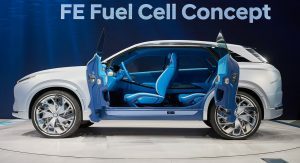 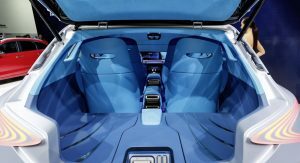 But that’s not its most important feature, as the concept is capable of running for more than 800 km (~ 500 miles) between refueling, due to the fourth generation of hydrogen fuel cell technology. 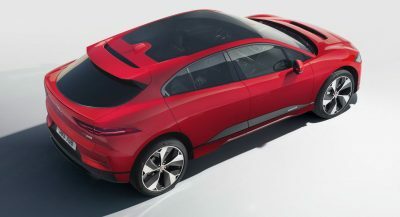 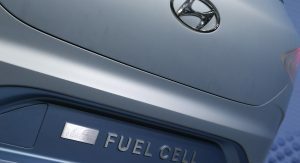 Thanks to that, the fuel cell tech is now 20 percent lighter, achieves 10 percent greater efficiency and has a 30 percent increased power density in the fuel cell stack when compared to the Tucson ix35 Fuel Cell. 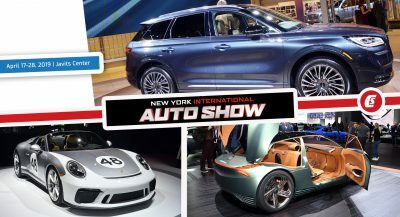 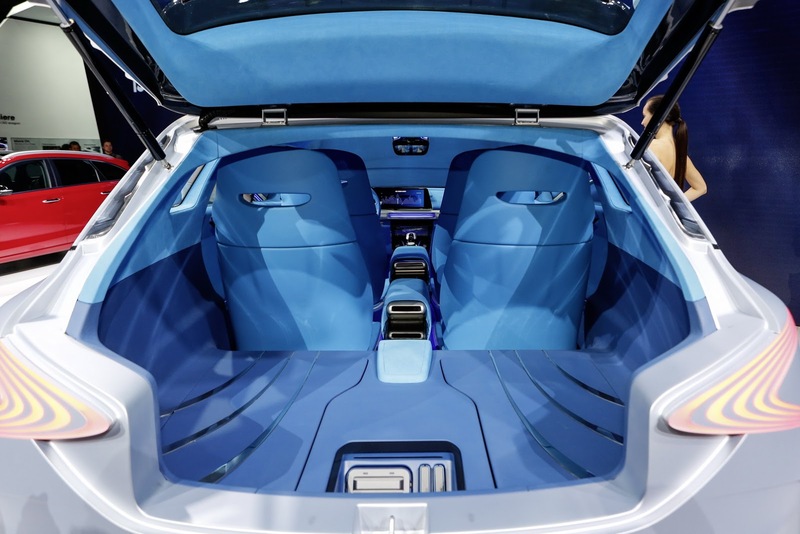 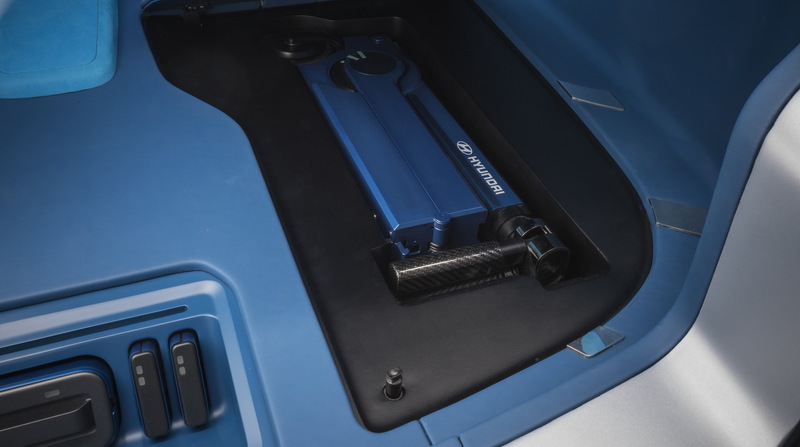 Moreover, the show car also features portable battery packs, which are charged by the vehicle’s energy output to power passenger devices, and it has an integrated storage and charging space in the boot, for an electric scooter. 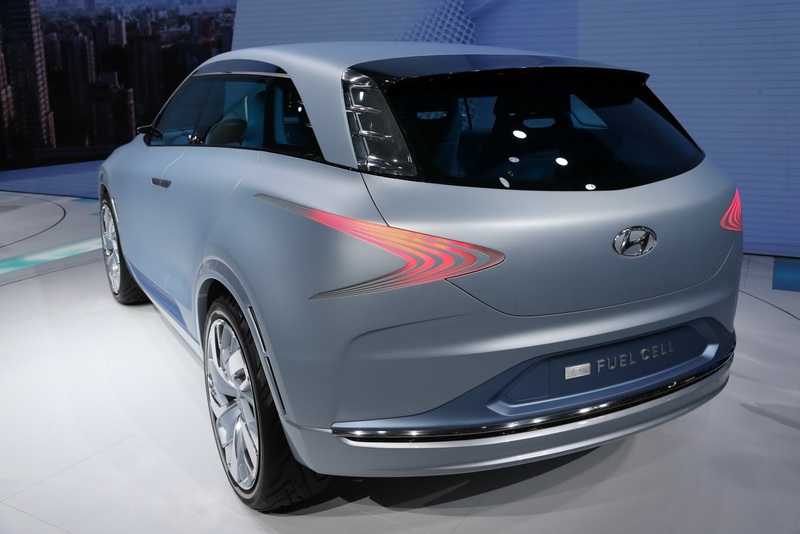 “Hyundai Motor has a heritage of building innovative, fuel-efficient vehicles that advance the automotive industry’s environmental progress. 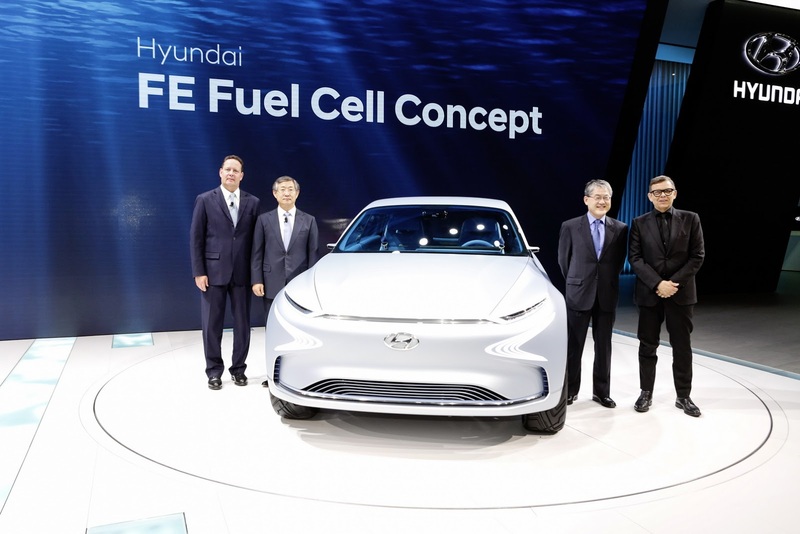 Our FE Fuel Cell Concept is an important evolution of our pioneering hydrogen leadership, and moves us closer to our vision for a ‘Hydrogen Society’, where transportation is clean, efficient and enhances the lives of our customers“, said Hyundai’s Vice Chairman, Woong Chul Yang. 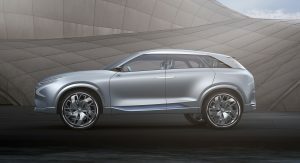 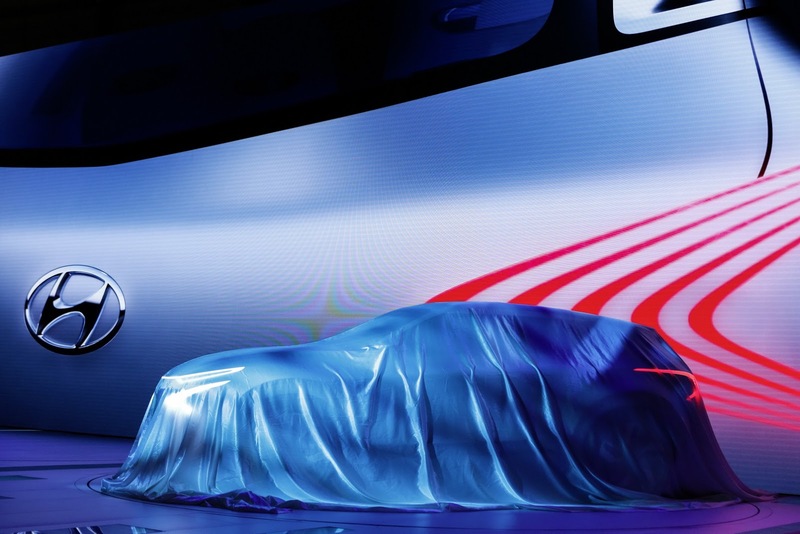 Its shape is said to have been inspired by “nature and water”, which emphasizes its zero-emission capability. 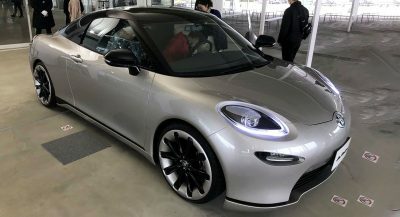 It has a clean exterior with slender headlights, specially designed taillights that follow the same pattern as the LED DRLs, and some massive rims. 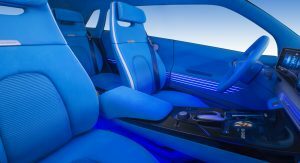 Inside, it has a minimalistic layout, with blue ambient lighting and three generous sized screens. 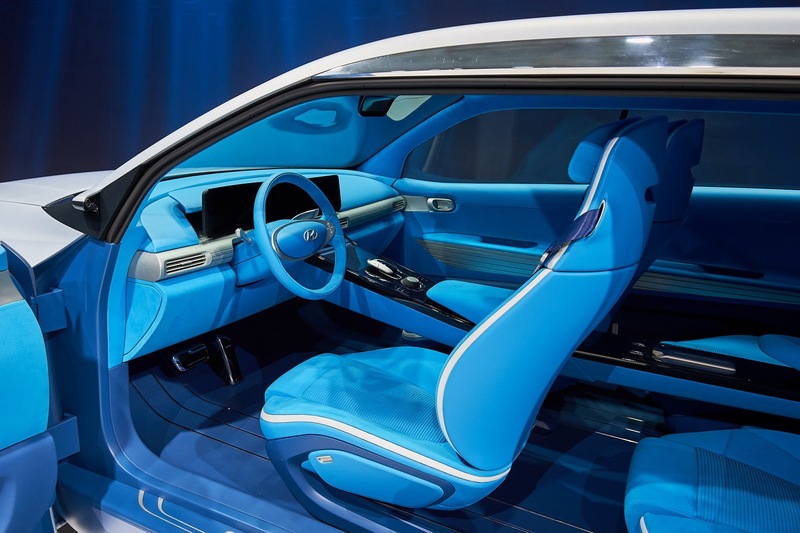 One of them acts as an infotainment, the other replaces the traditional analogue dials, and a third one, located in front of the gear shifter, has something to do with smartphone screen mirroring, apparently. 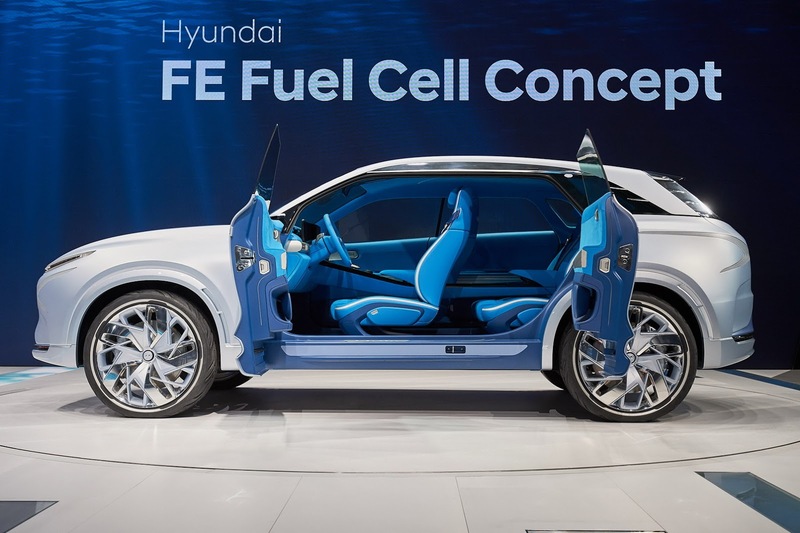 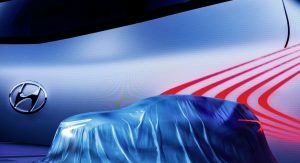 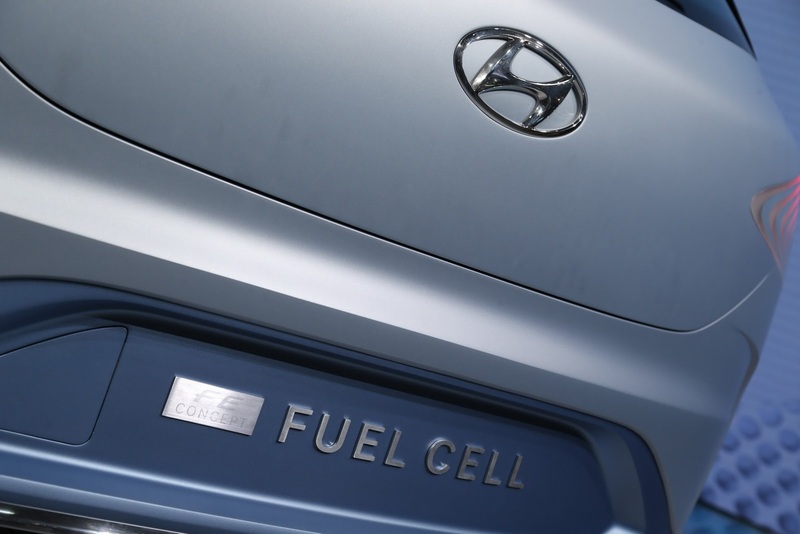 Some of the elements of the new Hyundai FE Fuel Cell Concept will influence a hydrogen-powered SUV, which will launch in 2018. 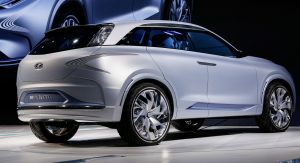 This will feature an extensive range and the Hyundai Smart Sense driver assist technologies. 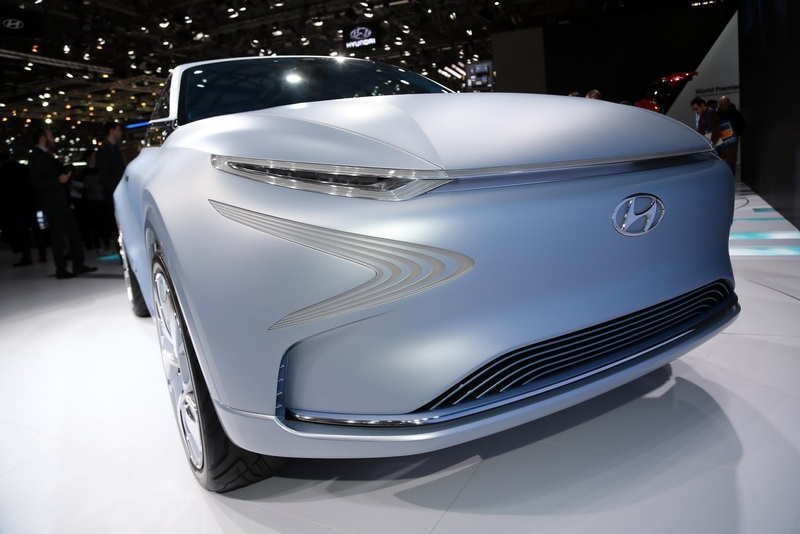 This wavy, curvy design language is not the elegant yet aggressive fluidic design that Hyundai had before. 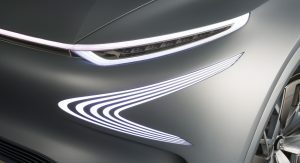 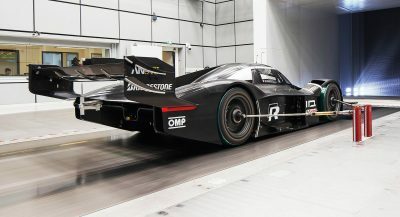 The side profile seems a little Mercedes-like, but the I am not a fan of this concept’s front design even though it looks unique. 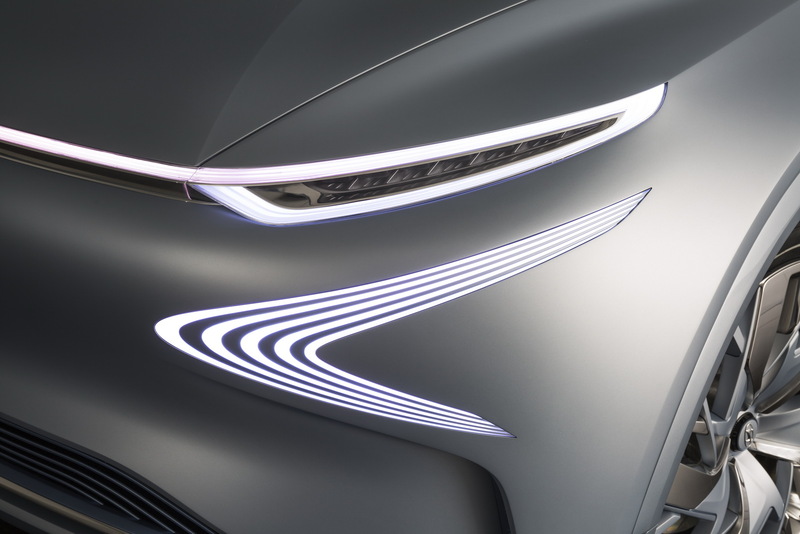 If Faraday Future produced a crossover. 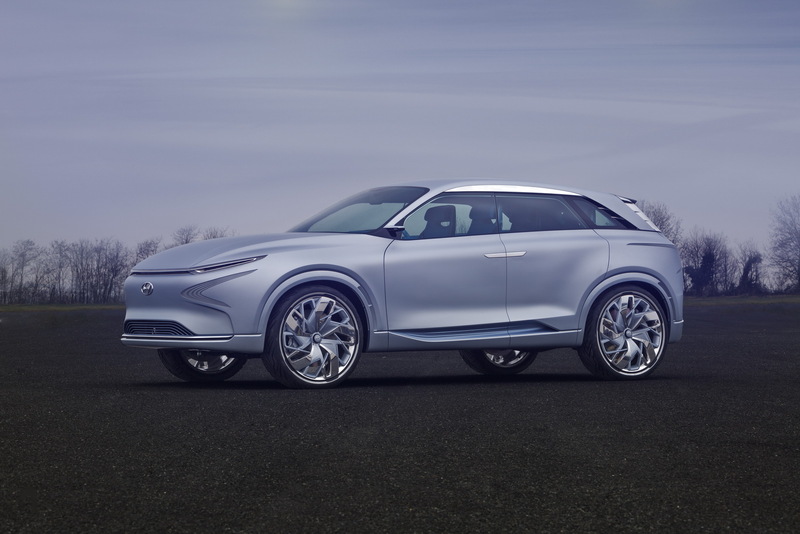 I thought the FF was a crossover…..
Not very inspired. 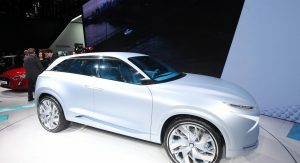 Not sure what the theme was behind those wheels? 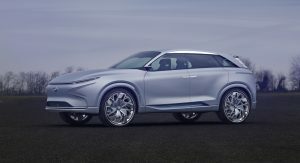 So this is a preview of the new Santa Fe. They do have balls to put Nissan Juke headlamps on it. 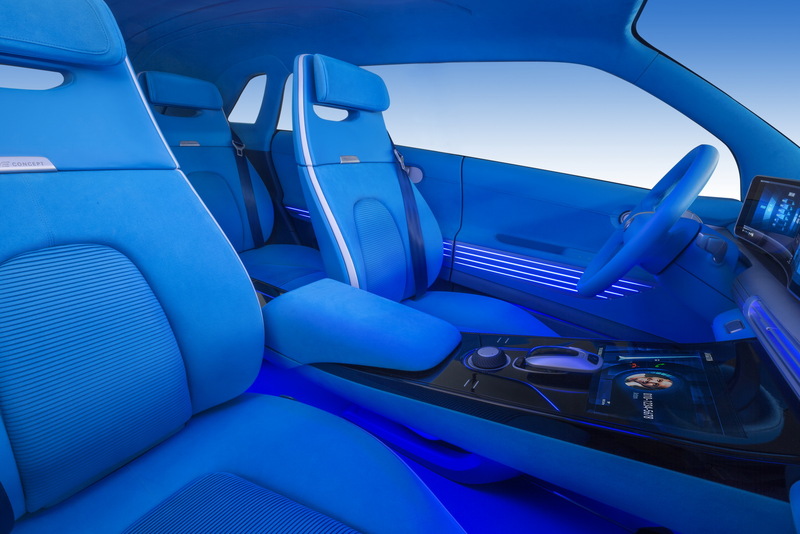 Futuristic and unique design. 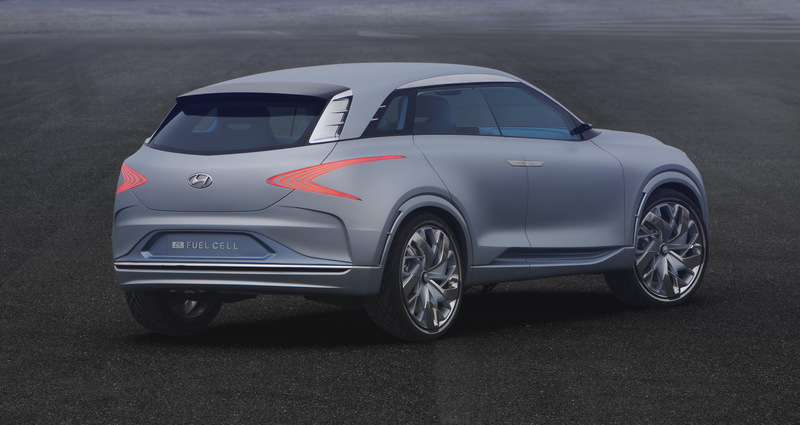 Considering that it’s a fuel cell car, I think the car fits pretty well with the concept. 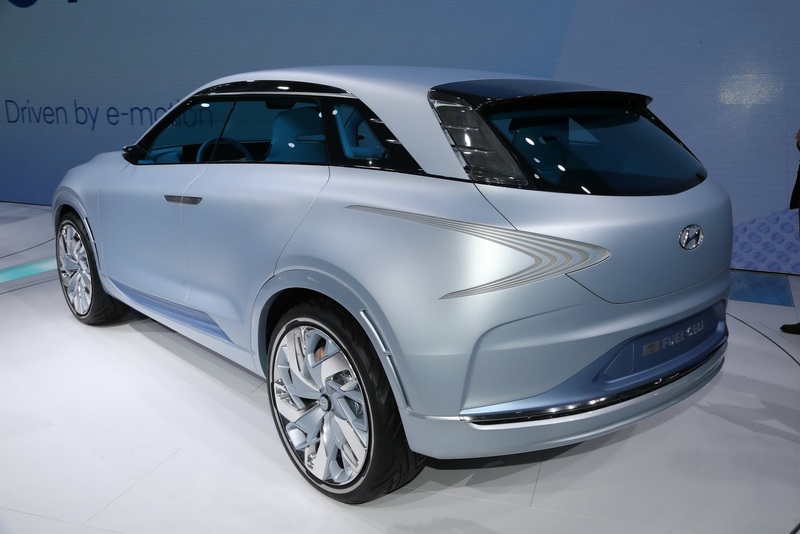 Also it’s nice to see soft and voluptuous body volume without crazy character lines from Hyundai.